HPS partnered with YouGov to understand how information is processed and prioritized in the offices of Members of Congress and how that information may or may not inform final decisions made by Members. Targeting Matters: A Member’s decision-making is personal, so efforts to influence that decision-making must be personal. 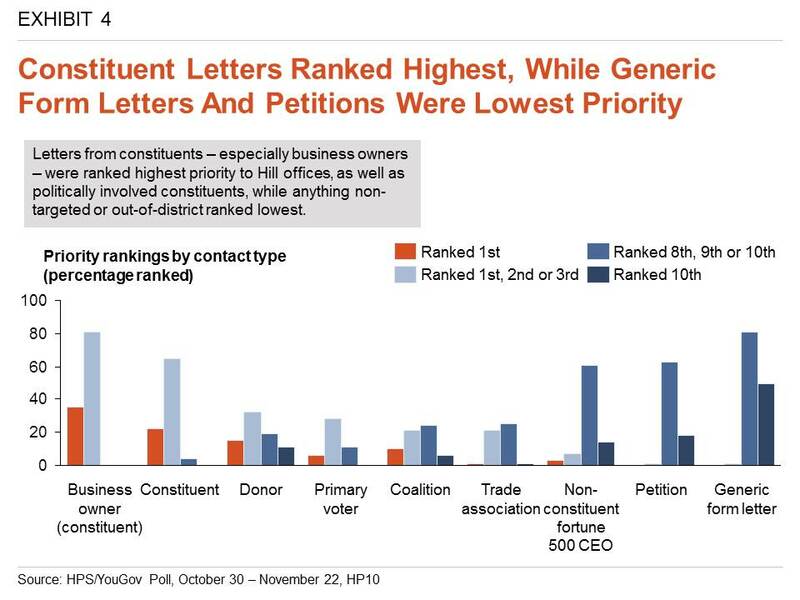 Grassroots Advocacy Informs: Personal letters and in-person meetings make big impressions in Member offices. Local Impact Wins: Constituent stories that demonstrate policy impact outweigh studies from an ideological or partisan source. Insiders Are Not Necessarily Inside The Decision Making Process: Political Insiders may underestimate the internal dynamics of Congress. Lobbyists Are Important: Members and staff see value in the principle and profession of policy lobbyists.